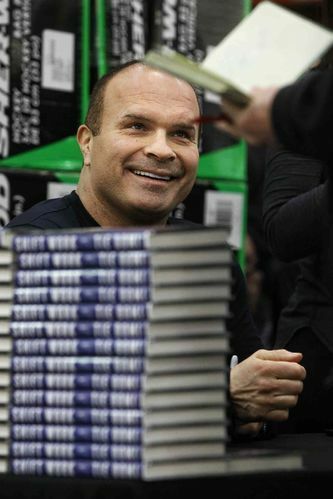 TORONTO — The photos on the inside cover of Tie Domi’s “Shift Work” tell the book’s tale. There are shots of family as well as stars like Mario Lemieux and Mark Wahlberg. But they are outnumbered by those showing Domi surrounded by firefighters, cabbies, police officers, construction workers and other everyday folk. The former NHL tough guy values his real-life connections and what they stand for. Domi, 46, said he turned down past requests to do a book because he didn’t want the focus to be on fighting. Instead he wanted to write a book dedicated to his late father, about positive life-lessons and old-school values like treating people how you want to be treated. “If I was going to do a book, I wanted to make sure it was a book that I can actually put my name to and be proud of,” Domi said in an interview. After 16 years, 1,118 games and 3,753 penalty minutes in the National Hockey League, Domi had no shortage of hockey stories. He says he fought a record 333 times during his NHL career. “Not that I’m proud of it, but it is what it is,” he writes. 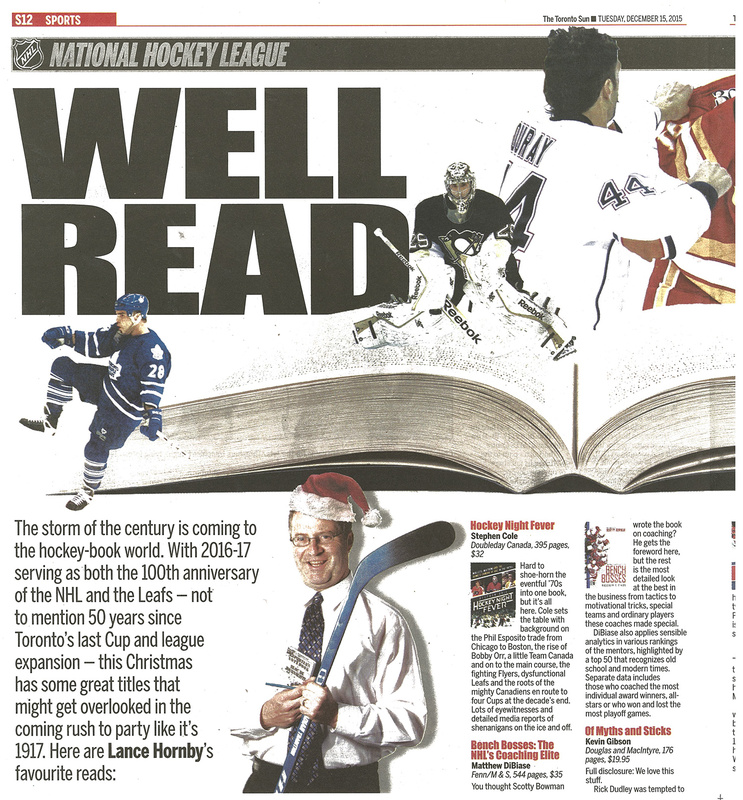 But when he decided to say yes to a book, he promised only headlines from his childhood, career and life after hockey. There were other things he wanted to say. He devotes an entire chapter, called “Keeping it Real,” to people he has met from other walks of life who have left an impression. Domi, a 5-foot-10 fireplug who retired after the 2005-06 season, says he fought to protect his teammates during an in-your-face career that comes with some ugly highlights. He calls the elbow smash to Scott Niedermayer’s head in the 2001 playoffs – payback for a Niedermayer stick to the face in an earlier game – “the dumbest thing I did in my career.” He was banned for the rest of the playoffs and the first eight games of the next season. Domi speaks highly of former Leafs coaches Pat Burns and Pat Quinn. He is not as complimentary about former GM John Ferguson Jr. He does not dish on his 2006 divorce or highly publicized past relationship with Belinda Stronach, although family is clearly dear to him. But he does talk candidly about his business hits and misses. Domi, whose circle of friends includes more than few entrepreneurs, says he was the first player in the NHL with a BlackBerry and would go over spreadsheets in his hotel room. But during the 2008 financial crash, he came home to find an eviction notice on his front door. “I let my guard down and I trusted people that I shouldn’t have trusted,” he said. He credits friend Mitch Goldhar, who built the first Walmart store in Canada in 1994, for helping him recover. Domi’s story – and message – seems to have struck a chord. “Shift Work” topped the bestsellers’ list in Canada. “It’s a pretty cool, surreal feeling. It’s very humbling,” he said. When Tie Domi was traded to Winnipeg just after Christmas in 1992, nobody was happier than Teemu Selanne. The Finnish Flash was having a breakout season but didn’t have the muscle behind him that other snipers around the league, like Wayne Gretzky, did. So, when the team gathered at the Rorie Street Marble Club after a game during the holidays, Domi could barely take a sip of his drink in between non-stop bear hugs from Selanne. 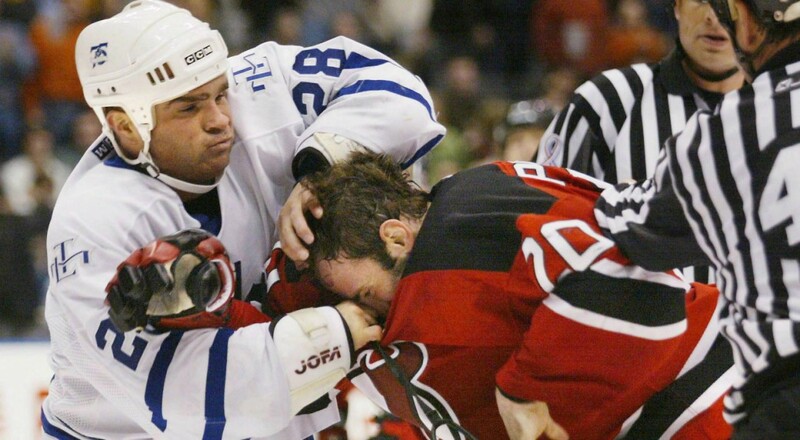 Former enforcer Tie Domi thinks he’s fought more than anybody ever: 333 bouts in the NHL. Those are on top of his countless preseason fights or the times he dropped his gloves in the minors and juniors. But he’s done talking about that part of his 16-year career with the Maple Leafs, Rangers and Jets. 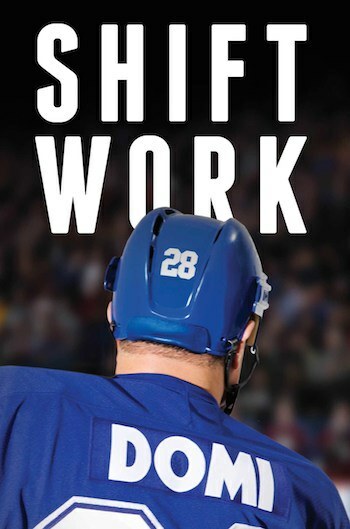 With his new book, Shift Work, Domi wanted to tell the story of his father, his son—Arizona Coyotes rookie star Max—and the everyday people who make life great. Domi recently chatted with SI.com about the state of fighting in hockey, respecting others, and the Biebs. Jeremy Fuchs: Some fighters say they don’t respect a guy who won’t drop the gloves. 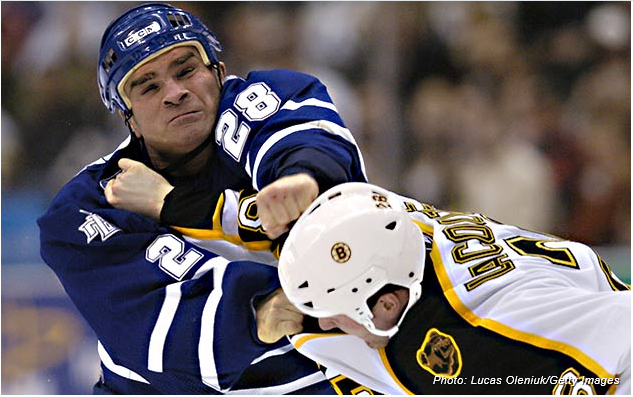 Tie Domi: To be honest with you, I was never expected to [fight] and nobody ever told me to. I did that for my team and my teammates. I protected Mike Ricci. I protected Mike Ricci in juniors, you know what I mean? I understood that whole thing when I was 14-15 years old and then [came] three years of junior, and then the minors, preseason games, playoffs and the street. That’s like 500 fights. I didn’t want to write about being the person who’s probably fought the most on the planet. I did it, and I wanted to be the best at it, and because of my size (5′ 10″, 213 pounds), I had to be smarter than anybody. I’m too small not to be sharper than the other guys. I was too small not to make sure I was sharp. That’s why I wasn’t a big partier or drinker, because I couldn’t afford to not be on my game. Because every single game I played in the NHL, I always had to be ready to go at any single time. JF: There are a lot of guys nowadays who lay out big hits or do a lot of talking, agitating, and then don’t fight. Does that bother you? Does that speak to the lack of respect factor? TD: It’s a different time and it’s a different era. We all know what we did in our era. We made everybody accountable. We policed the game ourselves, the best we could. When you see some reckless stuff against the best players, that’s where the league has gotten much better at protecting the players because it’s almost no tolerance. Like the Raffi Torres hit—you just gotta be aware of situations. The speed and the fact that guys are vulnerable. Scott Stevens, he would’ve been suspended probably every other game. That’s why I always chased him around. Because he always targeted guys when they were vulnerable. He never fought me. He was the type of guy who hit guys who were vulnerable. When we policed the game, we made guys accountable. That’s the bottom line. It’s a different time. I watched the last four years in junior hockey where my son played and he was the leading scorer, and he was targeted every single year from his first to his fourth. I’m in the stands watching this. It’s tough to watch. Juniors has a long way to go. They’re the ones that want fighting out of hockey. [NHL commissioner] Gary Bettman has never said he wants fighting out of hockey once. Junior hockey is where they say fighting, fighting, fighting. It is dangerous out there. Max’s first year, against Barrie, he got blindsided. Last year in the playoffs he gets blindsided, elbow right to the head. He was out the rest of playoffs. That’s how junior hockey [is]. 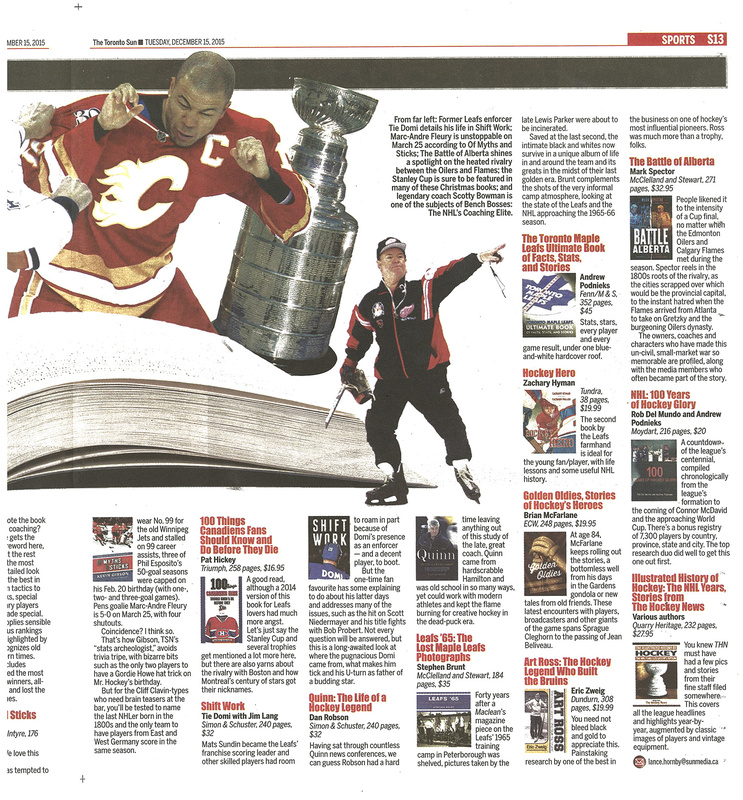 JF: Some of the most poignant chapters in your book are about Bob Probert and Wade Belak. Unfortunately, we’ve seen a lot of guys struggle after their careers end. Do you think fighting, and the repeated hits to the head, played at least a part in their troubles? Are you concerned at all? TD: That’s why I wrote this book. [But] I’m going forward. I don’t really talk about that stuff. I enjoy every day. I like to be around people I like to be around. Regardless of who I was, that’s the way I am. I put my walls high. The people I’m around now, you know who my friends are. They’re in the book. Normal guys. And that’s why they’re in there. That’s why Mark [Messier] is in there, Mario [Lemieux] is in there. They’re in there not because they’re my longtime friends, but they’re all humble stories. I’m trying to get that message across. Acknowledging, respecting, being humble, keep it real. Those are the messages. JF: What are your old school values? TD: Treating people how you want to be treated. That’s really the gist of what I wanted to do with the book. I really wanted to dedicate it to my father. I wanted one chapter for the everyday person. The parking lot lady at the Air Canada Centre, or the security guys or the Zamboni guys or the ice crew, those guys were like family when I played. When I go to the ACC, they treat me like their own family. TD: It’s life lessons and life values, dedicated to my father. I only would do a book if it was done my way. When you have guys like Mario Lemieux come to the Canada book launch and the New York book launch, and then A-Rod, Floyd Mayweather comes. Justin Bieber Instagrams me a picture. How does this all happen? I haven’t changed. Those guys are normal guys. Justin Bieber asked me if he could come to the game when Max played against the Islanders. He was into the game, very respectful, and very humble. These guys are real guys in the limelight. 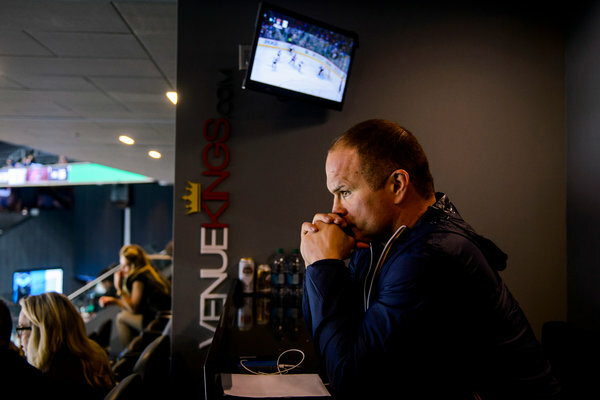 Intensely watching his son Max battle the Islanders this week, Tie Domi was temporarily distracted when a fellow Canadian appeared in his Barclays Center suite. After sharing a few hugs, that Canadian, Justin Bieber, and his entourage quickly took seats next to Domi, the former N.H.L. tough guy, their collective attention focused on No. 16 darting about the ice below wearing the white, red and black of the visiting Arizona Coyotes. 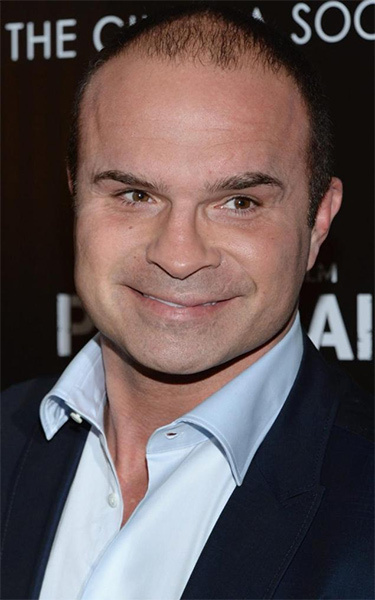 NHL legend Tie Domi celebrated the launch of his book, “Shift Work” at the Four Seasons Hotel, where Nelson Peltz, Jeff Soffer, Bruce Beal, Alex Rodriguez, Mario Lemieux and Floyd Mayweather Jr. came to celebrate their pal. The party ended with A-Rod and Lemieux bear hugging Domi. 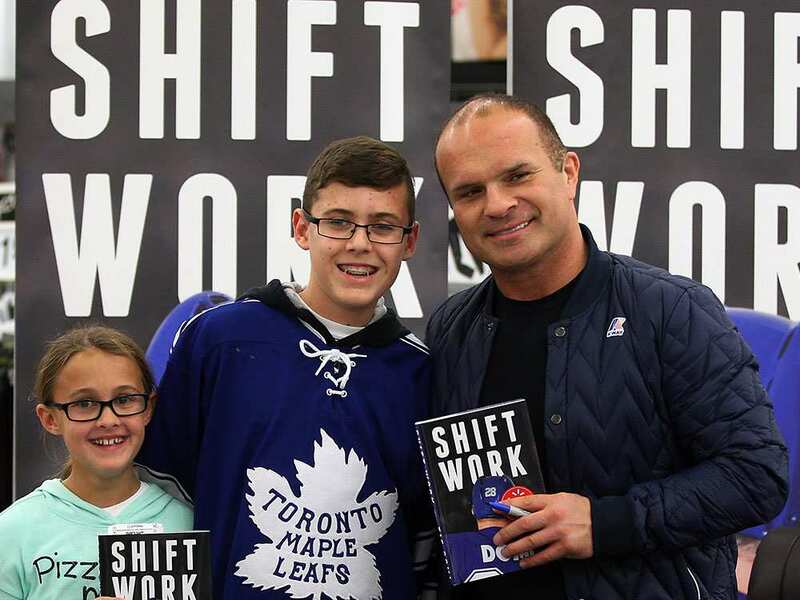 Large crowds formed on Wednesday to see former Maple Leafs tough guy Tie Domi, who made a stop in Windsor to promote his newly released book Shift Work. The Belle River native’s first book chronicles his life growing up as the son of immigrants to an NHL career that spanned 15 years. Following the meet-and-greet, Domi took to Twitter to thank all the Windsorites who made it out to the launch. 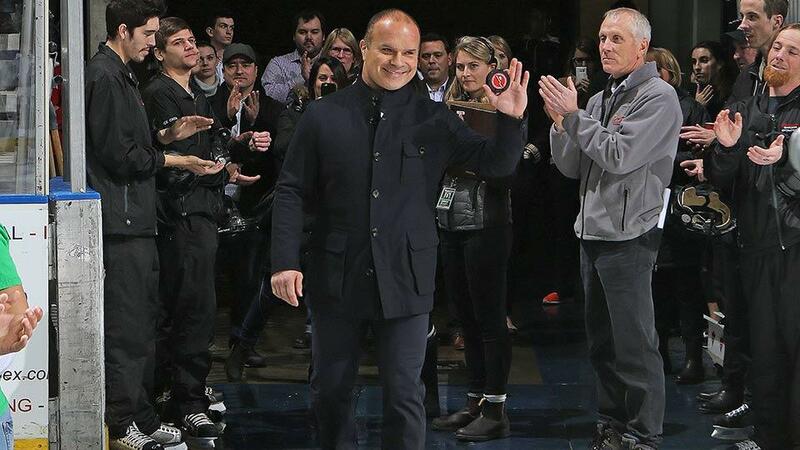 Former Toronto Maple Leafs tough guy Tie Domi is making a stop in London on Friday to promote his recently-released memoir, Shift Work. Domi will be appearing at the Chapters at 1037 Wellington St. South from 12 – 2 pm and then again at the Budweiser Gardens from 6 – 8:30 pm. The London Knights host Guelph starting at 7:30 pm. 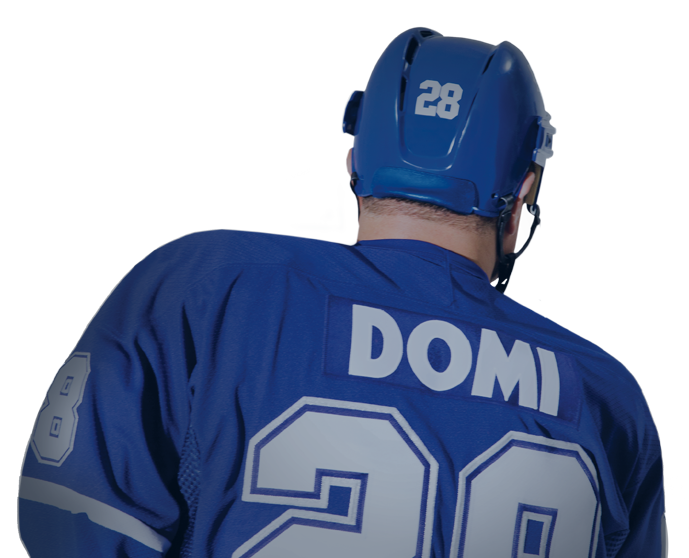 Shift Work chronicles Domi’s 16 tumultous seasons in the NHL with the New York Rangers, Winnipeg Jets, and the Leafs. There he was, hugging Alex Rodriguez and Mario Lemieux, for starters. But when it came time for introductions during the formal portion of his launch party, Domi instead brought up some of the people he writes about in the book. They included a waiter and bellman from the hotel, and a shoe shine man from the nearby Waldorf Astoria, and a TSA agent, all of them people he has befriended and lauded for their positive attitudes and hard work.